We are very transparent about our pricing. We know how expensive a wedding can get and we want to offer a superior product for any budget. Choose one of our three most popular options below, or let us build you a custom quote. Every wedding video we create comes with: 3 week turnaround, High Quality HD, Professional and Experienced Cinematographers, and HD digital file delivery of edited videos. Your highlight film playable in a video book. 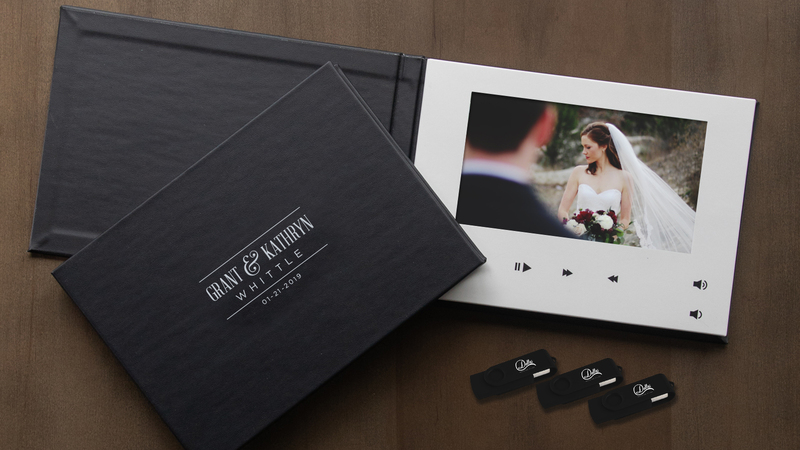 Plus two additional flash drives with your raw footage and completed videos. We can author DVDs and/or Blu-Rays for safekeeping. We’ll bring out our drone to capture aerial footage to include in your highlight film. We can stick around to capture more highlights for your film. Is your wedding in Austin, Houston, or San Antonio? No problem. We travel. We can bring one more cinematographer, or a whole team. We love to work with couples to create truly unique videos. Let us know what you are thinking. © 2019 Dallas Wedding Films.